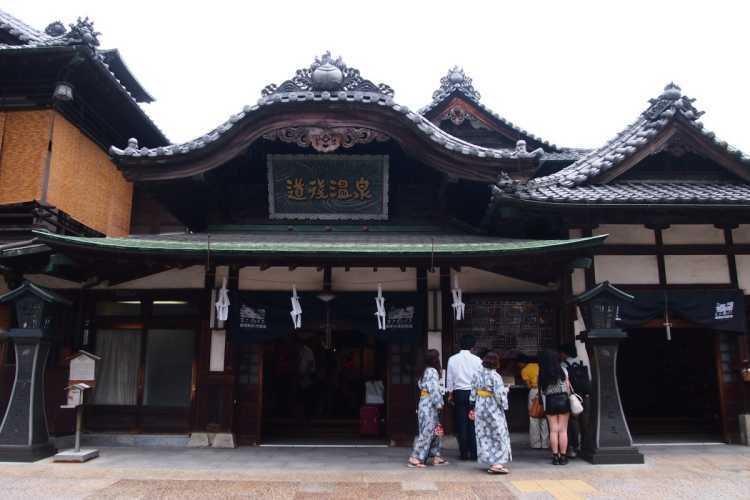 Dogo Onsen Main Building is a symbol of the Japan's oldest hot spring town. Some nearby hotels lend summer kimono 'yukata', and many tourists enjoy taking pictures of the historical building with yukata.◎Please enjoy onsen, too. At a second-floor lounge with comfortable breeze skimming along, you can have tea and sweets served only here. The Hot Spring Facility that is a National Important Cultural Property and a Model of Studio Ghibli Film "Spirited Away"
The Studio Ghibli Film "Spirited Away" is modeled on it. Regardless of nationality, people warm their body and look happy in the historical hot spring. Then I recognized again the Japanese traditional custom as wonderful one.